With a rich heritage dating back to the early 1800s, Lowell has been leading the way for more than 200 years. Today, Lowell is known for their excellent school system, vibrant arts scene and eclectic shopping district. Whether you already live here or are planning a visit, we invite you to explore our city website and see why we are The Next Place to Be! Each year Lowell hosts the Kent County Youth fair which features over 1,400 youth exhibitors displaying their animals and exhibits. They have free entertainment at the main stage tent and throughout the fair grounds. The live stock auction, Karaoke, Reading for Rides Program, Talent shows, carnival rides and games, family fun dance, pullin’ on the track and the children’s barn yard are just a few of the numerous events and activities that go on all week long. 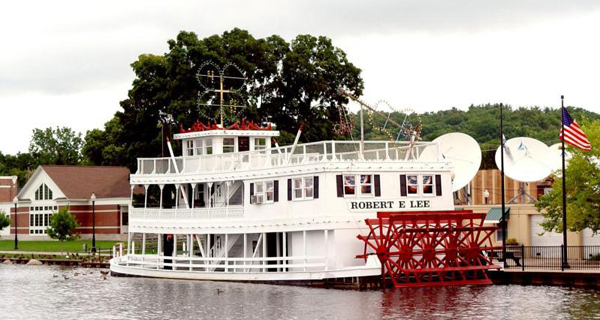 Lowell is also very proud ot their Showboat Sizzlin’ Summer Concerts for a sizzlin’ time on the river! Every Thursday they have live music to enjoy while mingling with friends and family. Bleacher seating is also available along with room for your own comfy folding chair.